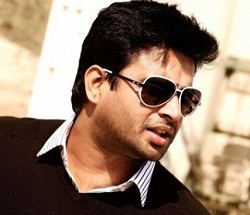 R. Madhavan is a famous Indian celebrity known for his acting, writing, as a host and also as a movie maker. 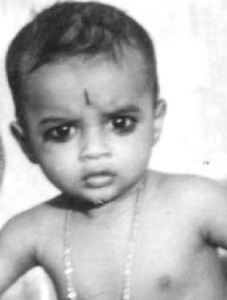 He took birth on 1st June 1970 in Jamshedpur city, Jharkhand state. Though his father was a Tamilian Madhavan was brought up in Bihar and did his graduation in Maharashtra. 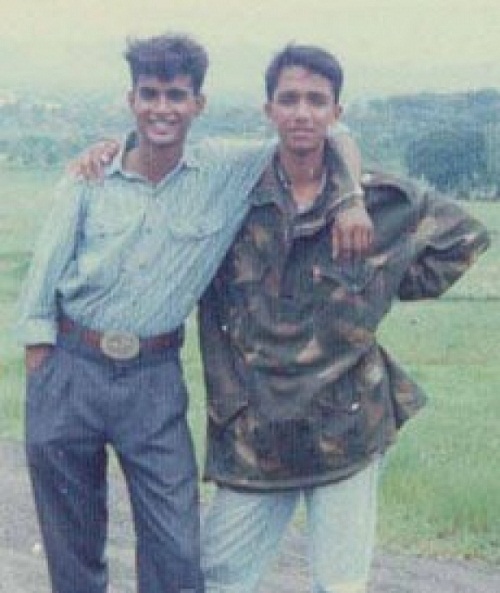 He attended Rajaram College, one of the prestigious colleges in Kolhapur. He earned his graduation degree in electronics with flying colors. During his collge days he showed his multi talent personality and was chosen to represent as cultural ambassador in Canada. 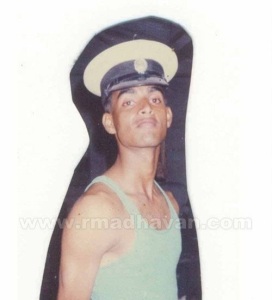 R. Madhavan was also taking part in college NCC activities and was the winner of Maharashtra NCC Best Cadet award. After winning NCC award he was given the privilege to visits England with seven other best NCC cadets and there he received few weeks training from Royal Army of England. 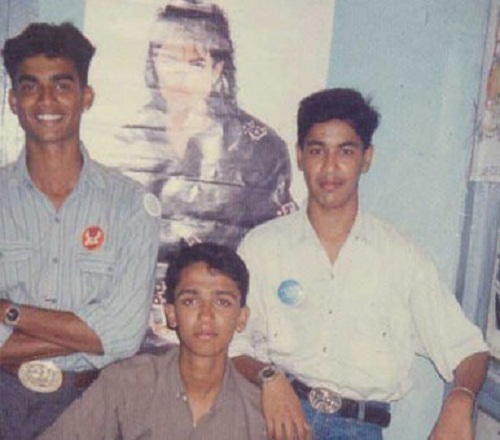 After completion of his education he developed interest in oratory skills and joined few courses to improve. 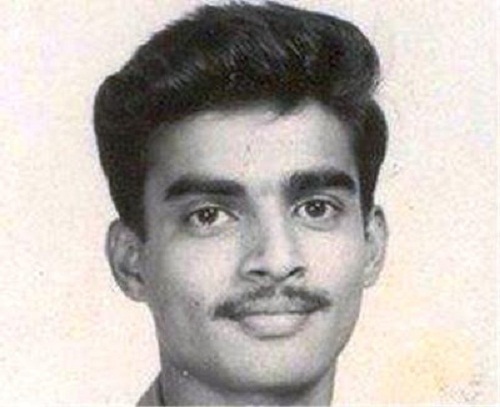 He was crowned Indian Championship for Public Speaking and represented India in Japan for “Young Businessmen Conference-1992”. By this time R. Madhavan was a completely changed man with different tastes and talent. Instead of sticking to his electronics degree he went on to take acting and modeling seriously. 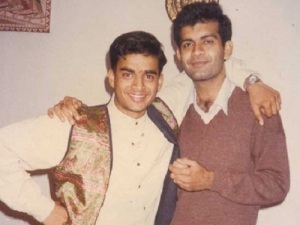 His first assignment was a commercial for talcum powder in 1996 for which he received few hundred bucks. His luck with films didn’t pan out and he moved to small screen with TV serial Yule Love Stories, Banegi Apni Baat, Ghar Jamai etc. After gaining recognition through small screen he started to get offers for film roles. Luckily his very first movie was Hollywood film Inferno in 1997. His second movie was Kannada Shanti Shanti Shanti starring Abbas and Prakash Raj in 1998. His career took big boost after working with veteran Tamil director Mani Ratnam for blockbuster Alaipayuthey in 1999 opposite heroine Shalini. 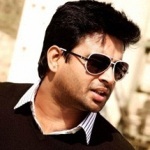 From that point of his career R. Madhavan never looked back since then he worked for several languages, his major blockbusters include Minnale with Abbas, Vivek and Reemma Sen, Dumm Dumm Dumm opposite Jyothika, Vivek and Manivannan, Aaytha Ezhuthu with Suriya, Meera Jasmine, Siddharth, Trisha Krishnan, Bharathiraja and Esha Deol, Rang De Basanti with Aamir Khan, Sharman Joshi, Siddharth Narayan and Soha Ali Khan, Thambi with Pooja and Biju Menon, Rendu with Anushka Shetty, Reema Sen, Santhanam, Vadivelu and Bhagyaraj, 3 Idiots, Tanu Weds Manu etc. 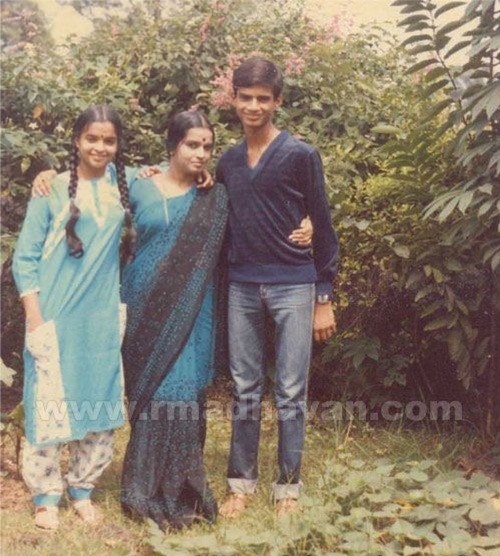 Originally R. Madhavan is a Tamilian, since his father Ranganathan was working in Tata Steel company as a management executive he had to move to Bihar. 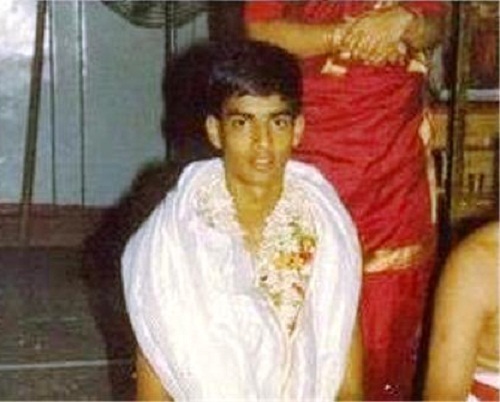 His mother Saroja Ranganathan worked at Bank of India as a branch manager. 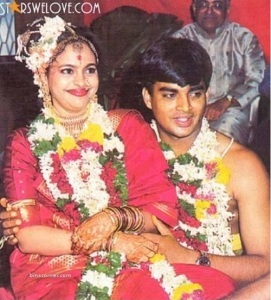 R. Madhavan has a sister named Devika. She did her education in India and now she is permanently settled in United Kingdom. She visits India occasionally to meet her brother and relatives. 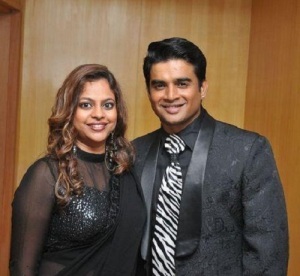 It is an interesting to story to know how R. Madhavan met his wife. After completion of his education he began workshops for improving public speaking skills. 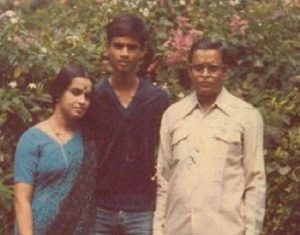 It was in Maharashtra workshop 1991 he met his student Sarita Birje, air hostess. After completion of workshop they dated for several years and married in 1999. 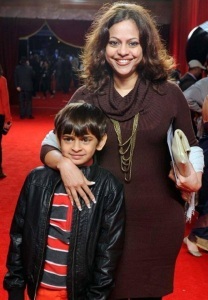 The couple gave birth to a son named Vedant Madhavan in 2005.